<canvas id="myChart" width=800px height="400" style="border: 2px solid black; padding:20px;"
Does that fix the problem? If not can you please be more spcific and take a picture of it and point to exactly what your talking about? I think the issue is just the font. The left edge of the '2' and the '3' at quick glance looks like it is cut off but in actual fact it's just the font. Running windows 8 and chrome. I don't get that issue. It depends on the browser language! If you set your browser language to german it will cut the labels off - if it's english it won't. But I couldn't reproduce it in jsbin yet. Attached two screenshots from my app. 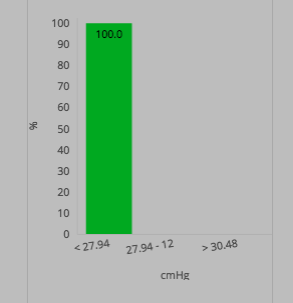 hmmm... What about trying to change the fonts for the graphs? Supports a few. You could also add your own if you changed the Chart.js file. I really can't help that much with this one. I don't have a mac. If you look closely at the English screenshot, you see that the 3's and 2's are still cut off. I have the same problem with my line chart. I strongly believe the issue is related to the inaccuracy of the browser's context.measureText-method used in the longestText-helper. Adding 5% more width "solved" the issue for me, but this isn't a pretty fix. Update: Other possible way to "fix" the issue. This issue is caused because in determining the tilt of the x-axis labels, chartjs checks for yLabelWidth + 8 and everywhere else it uses yLabelWidth + 10. Language and font can affect this because they both influence the line length, which is used to determine the tilt. My pr, which @pfirpfel linked, addresses this issue by adding 10 when chartjs sets yLabelWidth and removes the + 10/+ 8 checks everywhere. In my tests it completely fixed the issue. Unfortunately it's been open for a nearly a month, so I don't know when it will be merged. were you able to reproduce this on windows in chrome? I wasn't able to reproduce the problem on windows. Chrome @ Windows 8.1 displays it correctly without cropping. This fixed the issue for me for the time being. The problem occurs when the loop that calculates this.xScalePaddingLeft in calculateXLabelRotation() reduces the value to less than the value required to draw the Y axis labels. The solution is to revert this.xScalePaddingLeft to its previous value after the loop. Adding a space in the scaleLabel worked for me as well (temporary solution of course). It seems that @rylanhalteman found a fix. Is this annoying core issue going to be fixed in near future? Charts are broken for a lot of users. @wildchild I merged #677 so you should be good to go. Sorry that it took a while to get this into the core. By adding a few spaces to the left of the labels, it prevents the label text from being cut off. I'm having the issue as well. Just mentioning here so it's clear it's still not yet 100%. @PixelAtLarge's patch worked nicely for me. // works in rails app, had to add extra % otherwise rails would try to print it. extra space after = works great!! This issue is far from closed. What is the solution? Just increase the margin-left property until it begins to appear.